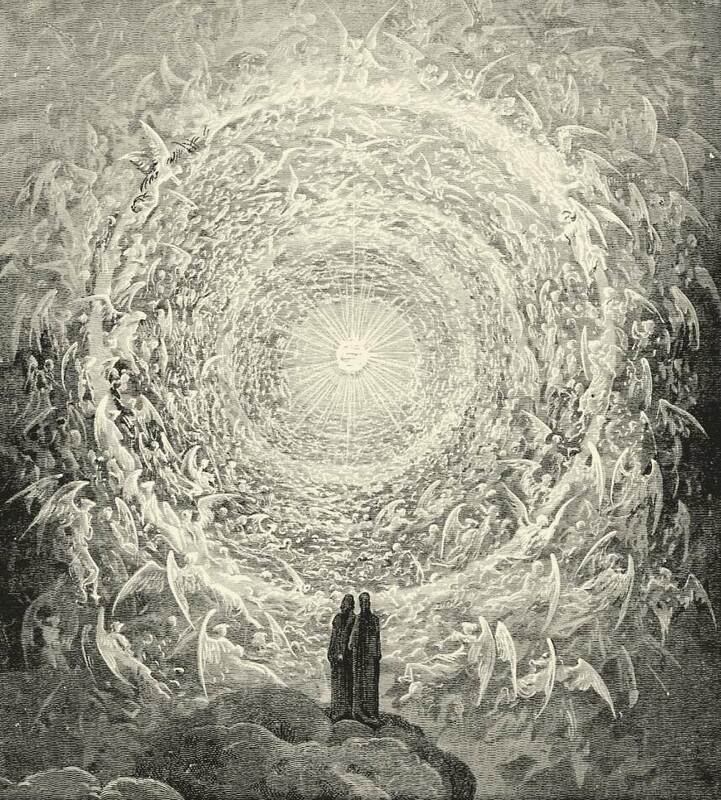 Dante and Beatrice gaze upon the Highest Heavens; from Gustave Doré’s illustrations to the Divine Comedy. For the leaders and followers of the earthly religions, the Highest State is unreachable, because the Heavenly State is gained by service to heaven. Yes, indeed, but luckily, heaven is served by acts of kindness benefiting all upon the earth. Yes, carry out tremendous acts of kindness all the time. Be helpful and caring to all living beings. Compassion for others is required on the Path to Heaven. Here is a verse from the Holy Text, a call for action.